The Cincinnati Bearcats were dominated by the UAB Blazers all night Wednesday. From the minute the teams stepped on the floor, one team was interested, the other was not. 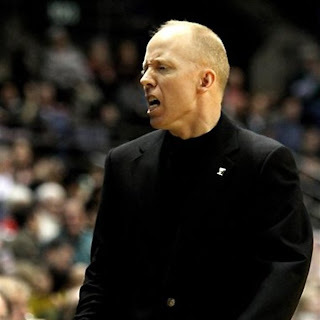 Unfortunately, it was Mick Cronin's team that was uninterested. The team seemed to be deflated right off the bat when Lance Stephenson injured his ankle 2 minutes into the game. He would end up returning at about the 10 minute mark of the first half. The bugaboos that hurt the team against Xavier showed up bright and early Wednesday. Right off the bat, the very impressive Elijah Millsap was hitting the offensive glass and outhustling Yancy Gates, Rashad Bishop and Steve Toyloy. Millsap crushed it on the glass with 15 rebounds, 6 offensive. The Blazers dominated the offensive glass by gathering 13. They had at least 8 in the first half according to the CBS College stats. The second bugaboo that killed was the albatross around the neck of this version of the Cincinnati Bearcats: shooting. The Cats shot a woeful 31.7% on 19-60 shooting. 22 of those were 3s, and only 3 were made. This team loves shooting 3s, which is not a bad thing, but they can't make them. When they aren't getting offensive rebounds, they only had 10, it's a killer. It hurt against Xavier, and it really made this one ugly. They force so many shots from the outside. Bishop, Lance, Cashmere Wright, Deonta Vaughn, Dion Dixon, and Ibrahima Thomas were all guilty of this last night. Ibrahima Thomas has offered nothing his first 2 games as a Bearcat. It takes some getting used to, but his most memorable moment was getting in Xavier's players faces in the big pull apart. He should get a lot of opportunities against Lipscomb. The shooting woes are really evident when it comes to lay ups. In my notes, I counted at least 5. That's too many for any team that wants to be anything. The woes were so bad in the pathetic second half, I tracked the possessions. This is after the Cats cut the deficit, at one point 15 in the 1st half, to 8. This is from about the 11 minute mark to the end of the game. Cringe away. The possessions we score on, are in red. Dixon throws it away. UAB went up 10 here. Dixon had a blow by dunk here. 2 points. The Cats were 13-31 shooting at this point. Lance Stephenson charges. Another UC turnover. Lance was clearly bothered by the officials at this point. This was his 3rd foul. A few minutes later, he would get whistled for charging again, and get a technical foul and be disqualified with 4:30 left. Not a good night for Lance at all. It's really reached the point, as Lance Stephenson goes, the Cincinnati Bearcats go. The only highlights came at this point. The last gasp for hope of a victory. Lance Stephenson hit Rashad Bishop for a lay up. 4 points. Followed by Lance stealing the inbound for a lay up to cut the lead to 11. 6 points. This was all on one possession. Vaughn blocked. After the inbound Bishop misses, followed by Gates missing a put back. Jarmarr Sanders, who had only 7, makes his only 3 in 6 attempts to make this a 19 point game. The aforementioned Lance Stephenson charge comes here. Another turnover. UAB gets a backdoor cut for a wide open dunk to make the score 62-39. Vaughn misses a 3. He was 1-7 from deep with only 7 points. 5 turnovers. He needs to step it up if this team is going to win. Wright missed lay up, Dixon missed a tip in, and Deonta Vaughn got the rebound and was fouled while shooting. He made them both. 10 points. Wright missed a 3, Toyloy got the offensive rebound and dunked it home. 12 points. After UAB threw away the inbound in the waning seconds, Steve Toyloy got a lay up to end the scoring. 14 points. That is awful. The Bearcats scored 28 in the second half, and 8 came in the closing 2 minutes. Pathetic. All credit in this one goes to the victors. The UAB Blazers once again roll Cincinnati in Birmingham. I would suggest never playing them there ever again. Mike Davis' club has not lost a home non conference game since he has been coach. His team was well prepared tonight. I came away very, very, very impressed with Elijah Millsap. He was all over the court. The Millsap boys know how to rebound. Let us take this one and erase it from our memory banks, thanks, and move on to non conference teams we can destroy. The next game is Saturday against Lipscomb.